Over the past few weeks the tragedy of young Israeli-Australian Ben Zygier has dominated the airwaves. Given that I am friendly with and wish to respect the privacy of the Zygier family I will write more about the general issues rather than the specifics of that case. Specifically I would like to address the issue of divided loyalties which has been raised by a number of commentators in an ill-informed and contentious way. It has often been argued that Australian Jews have a particularly close identification with the State of Israel. For example, a 2009 study by the Monash University Centre for Jewish Civilisation found that 80 per cent of Australian Jews regarded themselves as Zionists, 76 per cent felt a special fear if Israel was perceived to be in danger, 74 per cent had relatives living in Israel, and 86 per cent had visited Israel. Australian Jews have the highest per capita rate of aliyah (emigration to Israel) in the Western world. There is a strong political influence of Zionist groups within Jewish communal structures, significant Zionist education in the Jewish day-school system, high participation rates in Zionist youth movements, extensive Jewish fundraising and advocacy on behalf of Israel, and regular coverage of Israel-related stories in the weekly Australian Jewish News. This Zionist identity is politically and religiously diverse. For example, the Zionist youth movements vary from the secular left Hashomer Hatzair whose adherents seek to live on collectivist kibbutzim which favour peace and reconciliation with the Palestinians, to Bnei Akiva on the religious right whose graduates often aspire to live on settlements in the occupied West Bank. The reasons for this intense connection with Israel are both historical and current. One factor is that Australia has a comparatively high number of Holocaust survivors or children of survivors. The establishment of Israel is regarded by Jews as both an atonement by the international community for failing to prevent the Holocaust, and an ongoing insurance policy that ensures Jews will always have a sanctuary from anti-Semitism. Another factor is the ongoing Arab campaign to delegitimise Israel. Given the historical Jewish experience of powerlessness and genocide, many Jews genuinely fear that Israel is threatened by destruction. This Jewish support for Israel is hardly unique in our multicultural society. It mirrors the support many Australian ethnic groups offer to their émigré homeland. This is seen in nationalist politics (Australian Greeks holding rallies on the issue of Macedonia, Australian Serbs and Croatians voicing their opinions on the Balkans, Australian Arabs supporting the Palestinians) and sporting loyalties (Australian Pakistanis or Sri Lankans cheering visiting cricket teams). Most recently, there has been the case of some Australian Arabs volunteering to fight (and a few being tragically killed) in the Syrian Civil War. Some Australians may shake their heads in bewilderment at these expressions of dual loyalties. Australia is by any measure one of the best countries in the world to live in. It is quiet, affluent, tolerant and peaceful with virtually no political or ethnic/religious-related violence. Thousands of refugees are literally dying to come here. Yet perhaps this sedateness and geographical isolation explains why some Australians of ethnic background, who were born in Australia and may not have even visited the homelands of their parents, feel intense identifications with events elsewhere. Sometimes home can be in two places, both where you live and where your heart is. Even though most Australian Jews hail from Europe, not Israel, experiences of historical oppression and a collective culture of education and learning have propelled Jews to be disproportionately involved in political and ideological activities and debates. They feel an intense connection with the robust and existential political events around the future of Israel which contrast so sharply with the laidback nature of Australian life. For most Australians who emigrate to Israel there is no sense of divided loyalties. Australia and Israel have a long history of friendship, and there is little prospect of conflict between them. Jews do not make aliyah because they are rejecting Australia, but rather because they feel a more emotional connection with Israel. And there are many success stories. A couple of the most prominent international spokespersons for the Israeli Government in recent years have been Australians. My own aunt and uncle departed Melbourne in 1974, and successfully integrated into Israeli life, bringing up their children and grandchildren. Equally, many Jewish immigrants to Israel quietly return to Australia after a few years, worn down not only by the difficulties of adjusting to a new language and culture, but also by the special demands of living in a semi-permanent war zone. I do suspect that some Australians, Jewish and otherwise, may bring from their childhoods in tranquil Australia a special degree of idealism and innocence to their involvement in alternative homelands and conflicts. And it is perhaps this, rather than spy-catcher conspiracy theories, which best explains what happened not only to Zygier, but also to other young Australians who have recently died in conflicts in the Middle East. Associate Professor Philip Mendes is the Director of the Social Inclusion and Social Policy Research Policy Unit in the Department of Social Work at Monash University, and also holds an Honorary Appointment in the Australian Centre for Jewish Civilisation. Recent articles by Philip Mendes. Thanks Philip. It is important to qualify that the interpretation of the 80% of Jewish Australians who defined themselves as Zionist should be mitigated by the broad and potentially misleading definition given of Zionism in the survey which basically amounted to anyone who identifies with the history of the Jewish people. There is one particularly contentious statement in this article "Another factor is the ongoing Arab campaign to delegitimise Israel. ... many Jews genuinely fear that Israel is threatened by destruction." Another interpretation--supported by Israeli scholars-- is that Israel has made the conscious choice to keep up with a military rather than political option because the political price of peace is too high. There have been any number of approaches by Arab countries to make peace. First proposed in about 2002, the Arab Peace Initiative Plan (also called Saudi Plan)states that upon signing, they will "consider the Arab–Israeli conflict over". But Israel has rejected this. It will be unable to dominate as in the past. Thus, the problem is not just one of past Arab rejectionism, but Israel's own policies. The latter have been sold as the only response to the "existential crisis" to Jews around the world,playing off holocaust memories, even though much of the problem is sadly of Israel's own making ( e.g. the Occupation). Alternative views about what is to be done are regarded as illegitimate or even treasonable. No wonder then, that a sad event involving a Jewish Australian-Israel has left many people shaken about their loyalties. How you have been able to get the figure that 80% of Australian Jews are Zionist? Speaking of my own knowledge of Australian Jews, perhaps up to 45% are Zionist and the rest deplore the Israeli Government's stand on the treatment of Palestinians and Zionism. Is this a case of 'going back to where you didn't come from'? Perhaps if these people so desperately 'love' Israel and leave here to live there, they could at least consider handing in their Australian citizenship if they intend to work for the Israeli spooks? Watching Q&A last night I was struck by the fanaticism of the young Jewish man who tried to sell the fib that Israel was under an 'existential threat', which somehow legitimised their gross national behaviour. Contrasted by the Egyptian panelist (name escapes me) who spoke far more intelligently and accurately. I'm fed up with the way our politicians grovel before Israel and kowtow to the USA in their arms industry support for Israel and many other dangerous nations. The list of arms the USA have just sold to the Muslim Brotherhood nation-state of Egypt to defend itself (what, from Israel?) simply justifies all concerns about the US as a modern pariah state that causes mayhem as a major export. Thank you Trent for your estimate that , "...of Australian Jews, perhaps up to 45% are Zionist and the rest deplore the Israeli Government's stand on the treatment of Palestinians and Zionism." You give me some hope that a slight majority of Australian Jews may choose the humane option concerning the brutal occupation of Palestine these many decades past. Your figures suggest however that a majority will remain constitutionally unable to do what is necessary to ensure a peaceful future in the region, namely, give back sufficient of the stolen territories to ensure that all peoples may have a decent life. I often try to remind myself that, what I like to believe I know, is ultimately a question of language. What is a Zionist? Our perception of ‘the world as it is’ is severely limited, predicated as it is on the essential but incomplete assumption that the words we use ‘represent’ (stand for, legitimate) some sort of ‘given reality out there’. Although we know that a teacher can also be a good cook, we cannot quite get our head around an Irish Jewish Catholic atheist, a Jewish Arab, a male feminist, a child more mature than its parent, a non-Jewish Zionist, a vegetarian eating bacon, a Jewish Zionist Palestinian, a woman self identifying as a ‘bloke’, an ethnic Chinese person speaking Swiss-German, an Australian extremist. The list goes on. Perhaps we ought sometimes humbly accept that all our definitions of what it means to adhere to some sort of ‘ism’ cannot begin to define whom we honestly believe ourselves to be (today, ask me again tomorrow), let alone whom we need to believe the ‘other’ to be. Who knows what those you most care about and need to ‘know intimately well’ really stand for (most of the time) and why? Once again an excellent and insightful article Philip. Not being Jewish myself I am unable to comment from inside. There are other groups such as Armenians, Assyrians and Parsis (Zoroastrians) who have suffered severe persecution. Some in Turkey still try to minimise the Armenian Holocaust and what happened to the Assyrian Christians or even deny them flatly. There are also several extremely nasty people around, both here and in the Middle East, pushing that dreadful Tsarist Secret Police fabrication "The Protocols of the Elders of Zion" besides revisionist historians like David Irving whose work is questionable. Some want nothing less than the destruction of Israel as a state. In the face of this I think Jewish people would need to exercise some caution. There are many in Israel, especially among the native born Sabras, who have often served in the IDF with some distinction, who want peace. There are also many among the Palestinians who genuinely want peace. Sometimes it is hard for them to speak safely. Many Australians have dual nationality or feel an ancestral pull to another country. Having English cousins I still have an affection for where my family originally came from. Serving in the British Forces or joining MI6 are not normal for Anglo-Australians but some have. 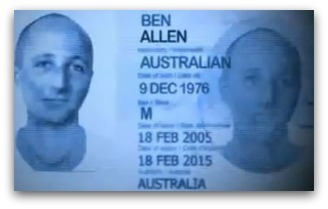 I think what worries most Australians in the case of Ben Zygier is the misuse of the details of Australian dual citizens by Mossad for their overseas operations. There things become a little murky. Was he part of this scheme? Did he tell someone else? People are concerned about his death. You don't have to be anti-Semitic or anti-Israel to be concerned about his death. I find it difficult to agree with a "peaceful" Israel and "peaceful" Australian-Jewish community who has a "special degree of idealism and innocence". There is no way in which the rest of the world will ever agree to the stealing of Palestinian land from people who were there, originally, for thousands of years before Moses ever thought of the place. That the Jews (Australian or otherwise) are 'racists' has been written about by Bishop Pat Power who personally witnessed the horrible ways they are treated in Israel. We are Australians who are proud to be so and should not grovel before the Israeli PMs who can only say "no" to any efforts to bring the 2-State solution. If we were more independently-minded, we could, perhaps, make them see reason (??). Who knows! It's difficult to know what the point of this article is if not some sort of Zionist apologetic. Philip Mendes is certainly disingenuous in claiming that Jewish dual loyalty is "hardly unique in our multicultural society" when he must know that Jerusalem has traditionally always been the focus for Diaspora Jews multicultural society or not and with it the phrase that traditionally ends the seder, "Next Year in Jerusalem." He must also know that the state of Israel was born in violence and continues to exist because of its perpetual use of violence. Ironically, considering the instability suffered by Israel since its inception in 1948, it is probably the least safe place in the world for any Jew to be. As Philip Mendes himself states :"many Jewish immigrants to Israel quietly return to Australia after a few years... by the special demands of living in a semi-permanent war zone". Whether Israel will still be in existence in a hundred years time is anyone's guess. But he must also know that despite global condemnation, Israel continues to use overwhelming force to dispossess the Palestinians of their homeland and then to stop them reclaiming it - and it could only do this with support from the power of the USA and to a lesser extent Australia. This I suspect is why the awful tragedy of Ben Zygier has the potential to embarrass the Australian government. I have read this article twice - and forwarded it to friends. It honestly reflects my situation - I related to it. Wonderful article as it is accurate based on my own observations and experiences. I do not think dual citizenship nor dual loyalties are the main problems in the Zygier case. I am surprised that more people are not appalled at a Jewish-Australian working as a spy for a foreign country (if that was the situation). Would there be as little concern if a Muslim-Australian worked as a spy for a foreign country? Another smear parading as erudition. The ongoing Arab campaign to de-legitimize Israel - Israel has not acknowledged the history of its birth - through Imperial collaboration, massacres and ethnic cleansing and continued expansion and displacement of Palestinians. Nor has it stopped the genocide of Palestine. This is what makes it illegitimate in the eyes of the world, not Arab campaigns. Western feminism rejects women who don't ascribe to certain rules, such as putting children in care, pursuing a career or even disliking men. Young women looking for an antidote to such aggressive, individualistic feminism may turn to Africa, where community-centric, gender-inclusive ideologies have been espoused for decades. With Hugo Chavez's death Latin America has arguably lost the most influential political leader of the last two decades. Chavez was one of those men that Bertolt Brecht called the 'indispensible ones'. He has been the champion of the socially and economically marginalised since he came to power in 1999.